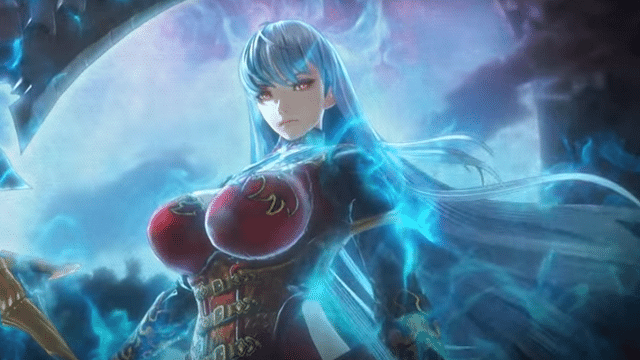 Sega has released an extended teaser trailer for their forthcoming not-at-all-a-sequel Valkyria: Azure Revolution, and as one might expect, it’s as full of awesome as anything anyone’s ever seen on the internet. Fans of the Valkyria games expect nothing less than perfection from the Valkyria games and it’s consistently delivered time and again. Based on what Sega is showing off in this footage, it looks like they’ll continue to maintain a high standard of excellence for this criminally underappreciated series. Of course, it could be the best selling series of all time and I’d still consider it uderappreciated, so take that for what you will. At any rate, experience this teaser for yourself to see more of the war torn world, the brutal and personal nature of its struggles and the role heroes and generals play in these battles. The trailer is moving and powerful, with music by composer Yasunori Mitsuda and featuring singer Sarah Alainn. Watch this now and just accept that the rest of your weekend won’t be this good. And Sega released a couple more trailers for us all to enjoy. Both are short clips about the making of two of the key musical tracks being featured in Valkyria: Azure Revolution, called Aoki Kakumei and Eternal Rest. These songs are both absolutely heartbreaking in the best way possible. Valkyria: Azure Revolution is scheduled for a winter 2016 release in Japan on the Sony Playstation 4 entertainment system, published by Sega and developed by Media.Vision, directed by Takeshi Ozawa. No confirmation of a western release yet, but as soon as we know something, so will you.